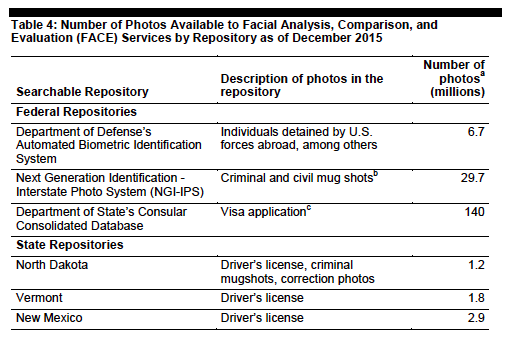 As the Report points out, many of the 411.9 face images to which FBI has access—like driver’s license and passport and visa photos—were never collected for criminal or national security purposes. 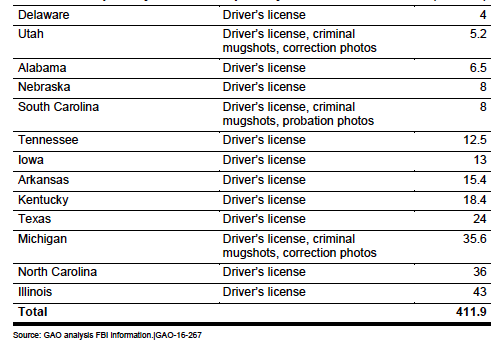 And yet, under agreements we’ve never seen between the FBI and its state and federal partners, the FBI may search these civil photos whenever it’s trying to find a suspect in a crime. 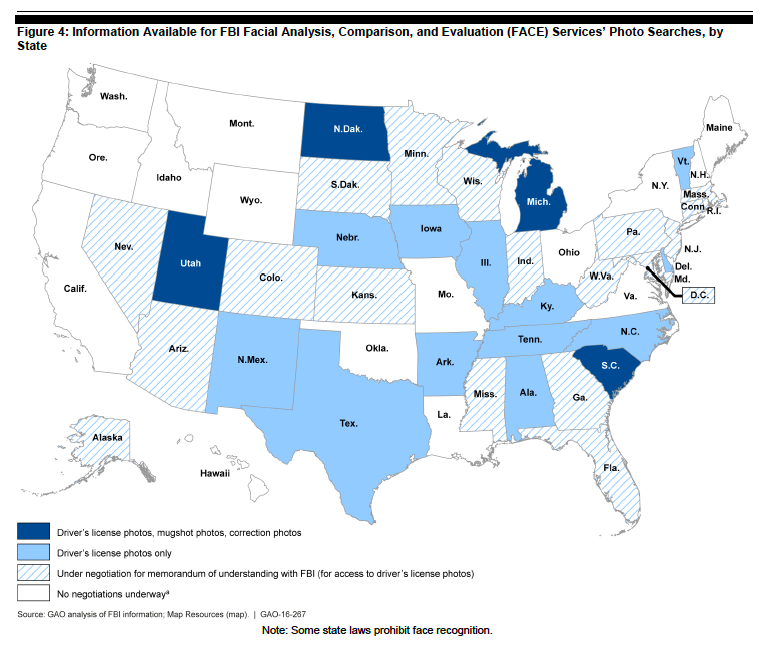 As the map above shows, 18 more states are in negotiations with the FBI to provide similar access to their driver’s license databases. Any and all original material on the EFF website may be freely distributed at will under the Creative Commons Attribution License, unless otherwise noted. 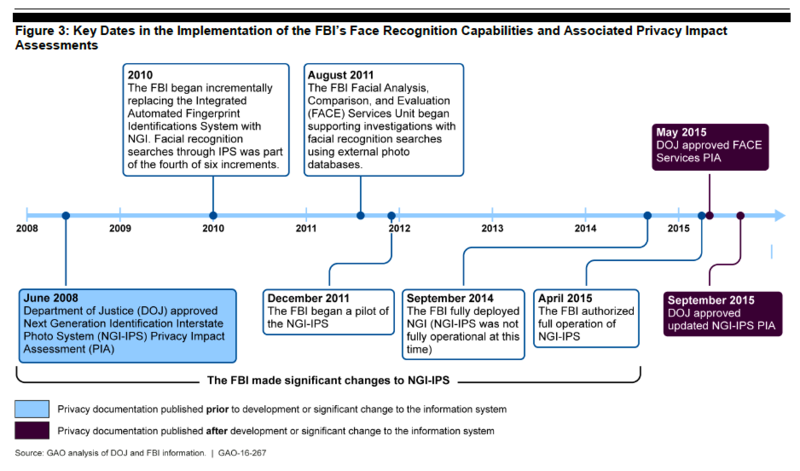 Jennifer Lynch is a staff attorney with the Electronic Frontier Foundation and works on EFF’s FOIA Litigation for Accountable Government (FLAG) Project.